You might be wondering, really my feet need taking care of? The answer would be yes. We tend to ignore our feet, they are probably the least taken care of part in our bodies. They tend to get ignored and sidelined when it comes to general body care. Why is taking care of feet important? Foot care is important because they take a beating carrying the whole weight of your body on an everyday basis. Why it’s important to wash your feet? Most of us might think, hey we always wash our feet when we shower and that isn’t being denied here. Let’s face it though we normally don’t give much emphasis to our feet like we do to the rest of our bodies. The feet would only get a few minutes if not seconds. Washing the feet is important because it mostly helps take out the bacteria around the feet. Our feet are always either in shoes/socks the entire day. This environment is suitable for bacteria, so cleaning your feet at the end of the day especially can help negate this threat. How to wash your feet? You might wonder if what I do in the bathroom is not considered as washing my feet, then how is it suppose to be done? Allow us to elaborate. You can clean your feet anytime before, during or after a shower. All you need to do is to prepare some warm water, don’t use hot water. Use some soap in conjunction with the warm water to clean up your feet. Don’t soak your feet in water as this might cause your skin to dry due to a loss of natural oils. In addition, you can keep the areas between your toes dry using some talcum powder or corn starch. Moisturizing has been an integral part of skin care with many women and men using it on their skin. A moisturizer performs the function of water molecule retention that is it retains water on your skin. This helps keep the skin smooth and avoid the dry and flaky skin. Moisturizers have always been limited use on the face and hands. This is apparent when you see commercials about moisturizers if you wish you could even do an observation or ask your friend how they use their moisturizer. You could put the moisturizers you have to good use by using them on your feet as well. The skin on the feet doesn’t get enough attention, so it gets dry faster. You need to understand that the skin on the feet is naturally dry, so a lack of proper care could lead to having dry cracked feet. This is a situation where the skin around the feet is so dry that it starts to crack. There’s a bit more that needs to be done to correct this problem, but why wait when you can prevent it now. Use a moisturizer to avoid this condition as it will keep your skin moist. This is even more important for people who live in warm, sunny climates. Many can attest to how hard it is to manage nails be it toe nails or finger nails. Sure, there are women out there who have long nails, but the attention and detail required to ensure that they stay clean is not something that everyone can pay attention to. On top of that, nails tend to store dirt and can be a good breeding ground for bacteria. They are quite unhealthy if you come to think about it. They play no important role in our body, so what’s the point of letting them grow too long. People tend to remember to cut their fingernails, but they mostly forget their toenail. This is probably because most times the nails don’t grow as fast and are not always in our sight as fingernails, but it’s still important to trim them. It’s important that you trim your nails the right way. It’s not only good for your feet, but it also leaves a good appearance. The procedure would be to first trim your toenails with nail clippers. The next thing would be to smooth the corners of the nails as well as trimming them straight across. This will prevent ingrown toenails that can be uncomfortable. Don’t trim the toenails at an angle or down the edges. We all know that one person or at times you are that person with the smelly feet. People have varying levels of odor, with some having more than others. The people that suffer from odors can definitely understand how this issue can undermine your confidence a lot as you can’t go anywhere with your friends that involves you taking off your shoes. It can also make you feel embarrassed when you are at your friend’s house because as soon as you take your shoes off, the smell fills the air. Dirty socks have been known to cause smelly feet.Smelly feet are mostly caused by bacteria on the skin breaking down the sweat and realizing an odor as the sweat decomposes. In order to get rid of the odor, you can do simple things such as wash your feet with antibacterial soap, avoid wearing the same pair of shoes continuously and change your socks more often. A massage is something many people love to have done on them. It has been known to have benefits to the body such as stress relief, relaxation and many other health benefits such as increased blood flow. Your feet also need a massage every once in a while to ensure that they are well taken care of. Feet massages can help relax your feet as well as increase the blood flow to your feet, which is very beneficial for your body. Your feet go through a lot on a daily basis, so it’s not bad that they should also get a break every once in awhile. You could also increase blood flow to your feet by exercising, avoiding tight socks as well as crossing your legs for long period of time. It’s always important to keep your body dry especially the parts of the body that are covered for most of the day. We do this to avoid infections and bacterial growth in the area. If you didn’t know bacteria love to use wet damp areas as their breeding sites. Your question might be what’s the worst thing that I’ll get if I don’t dry my feet? Well you risk getting fungal infections such as Athlete’s foot. The feet are always in shoes and socks, plus they get very sweaty. Add wetness to it and it becomes the perfect breeding area for infections. To avoid this always make sure that you dry your feet very well after a shower or washing your feet. Concentrate more between the toes as this is where most people forget about when drying their feet. You might think this is a very mediocre issue, but it actually isn’t. Footwear plays a big role in the healthiness of your feet. You must have experienced it at least once when you wore a shoe a size too small or whose soles have worn out. The next thing you know is that you have a blister, corns, hammer toe or a bruise when taking off the shoe. Now you see what we are talking about. There are some guidelines on the right footwear and on what occasions to wear them. What you need to know is that your feet stretch out late in the day, so if you’re shoe shopping it’s best to go after work. Another keynote is for the women and their relationship with high heels. It’s awesome to wear and might make you look good, but they have long term effects on your feet. This is because they can damage some bones on your foot. You can choose to wear high heels, just don’t do it all the time. Every once in a while isn’t so bad. Why should you consider foot packs? The feet go through a lot on a daily basis as they hold almost all the weight of the body when doing our daily activities. In addition, they sit in shoes that are normally sweaty and don’t get enough care from people. Part of foot care is through the use of moisturizers which can be pricey at the time. This is especially true if you want the best moisturizer that will keep your skin moist. The good news is there are less expensive options such as foot packs. Foot packs are the best option for those who can’t afford moisturizers. They are easy to use and provide a number of essential nutrients to your skin that can help keep your skin moist and avoid dry cracked feet. Some of them claim to have the ability to remedy dry cracked heels, but this hasn’t been proven. Foot packs can be found online and at your local store and come in different kinds, with each one providing its own set of nutrients and benefits. They’re definitely a cheaper alternative for soothing your feet. Some of the problems that we face on a daily basis in regards to feet are maybe at the worst end blisters. Many of us don’t know that there are other problems that can face you if you don’t take care of your feet well. Some of the common foot problems that you might face due to poor care are such as bunions, corns and calluses and plantar fasciitis to name but a few. These problems can be corrected if treated early enough. A visit to your podiatrist can help you find a way forward. Some like bunions might need some corrective surgery while athlete’s foot and calluses might just need some adjustment in your foot care regimen and medication. Based on the article you can take a relative guess to figure out who a podiatrist is. If you still have no idea, then allow us to explain, a podiatrist is a health care professional who deals with feet and lower limbs. They have training that gives them the ability to prevent, diagnose, treat and rehabilitate conditions related to foot problems. If you find yourself having any deformity or problems on your lower limbs, a podiatrist is the best option. These professionals are well trained and can help prevent or even correct the deformity that might be caused by these foot problems. In addition, they also give you expert advice on foot care and footwear that’ll work best for you. On top of that, day to day foot problems like ingrown toenail, corn and calluses and athlete’s foot can be treated by these individuals. Next time you find yourself with a foot problem, be sure to visit your nearest podiatrist for treatment. Foot care is very important and just because the majority neglect it, doesn’t mean you should too. 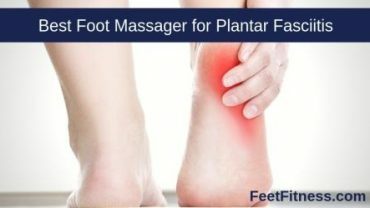 You have learned about how to take care of your feet, its importance and some of the problems that you may get due to poor foot care, so take care. Foot care is even more apparent for people with diabetes as they are more prone to these problems. As a diabetic person, extra care has to be taken to make sure that your feet are in good shape as there are risks of things such as foot ulcers and much more. You might have known what a podiatrist is, but now you know. Take your time to look for the nearest practice in your location and schedule an appointment. You could visit them to ask general questions about your feet and if you have any problems, then you’re at the right place to solve them. Your feet go through a lot on a daily basis, so the least you could do is give them the care they deserve. Remember the feet are what give you the ability to move and run around, if you treat them poorly, then you also risk your locomotive ability. Take care of them and they’ll take care of you.